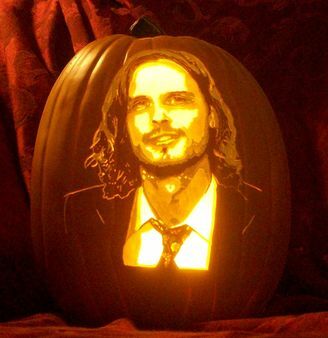 Are you skilled at carving pumpkins? And by pumpkins I mean turkey. And by turkey I mean humans. No joke I have pumpkins to carve and my storage room is full of them and I can use help. You will have to sign a contract but I think we can work something out. Bonus points if you're hot. Please let me know asap. The juh juh juhmaican girl next door is complaining about the rotted pumpkins. That sounds like the most terrifying medieval monster anyone ever faced. And by contract they mean signing over your soul so the sacrifice is legit. Get Spencer Reid and the BAU on the case... All these storage unit deaths are getting a little too common. Archy girl! :D My favorite is when they give you the jacket that has you hug yourself all day! I'm never lonely there! My favorite part was the padded room. It was all so soft, like bouncing off clouds all day! On the next episode of STORAGE WARS: You won't believe what we find!